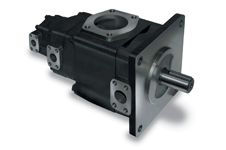 Multiple vane pumps have been specially designed for the high/low circuit. The combination of different cartridges in double and triple pumps allows low flow at high pressure (300 bar max.) and high flow at lower pressure. This is a clever way to minimize power consumption and optimize your circuit design. 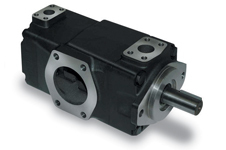 The large variety of options (cam displacement, shaft, porting) allows customized installation. Cartridge kits are available with different port plates allowing either uni-directional or bi-directional rotation. All T7 and all T6 mobile cartridge kits (both up to size E) are bi-directional; this is an option available to most T6 industrial cartridges as well. 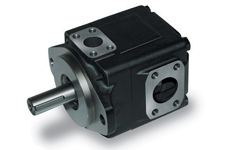 Bi-directional means that you can change the direction of rotation of the pump without the need of extra parts. 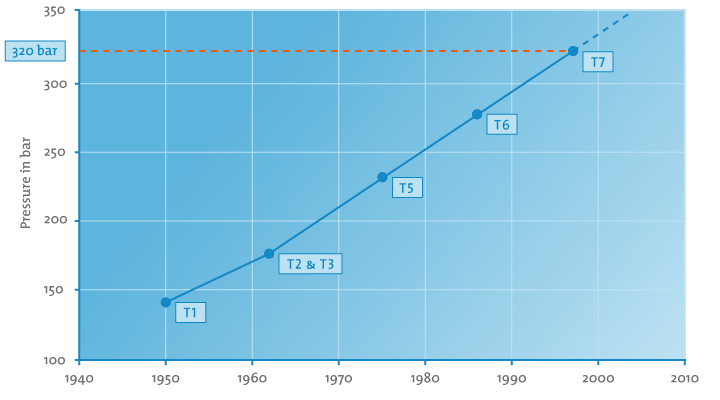 The Denison Hydraulics T-Series started off with the introduction of the T1 Series single vane pump in 1950 followed by the T2 and T3 Series single and multiple vane pumps in the early 1960s. Further development and continuous improvement of the Denison Vane Technology resulted in the higher pressure capability and range of speeds we know today.